When I was in junior high school*, my home room was the library. To a bookworm like me, it was the best way to start my day. For three years the library was not just a gathering place for attendance but a place to prepare mentally for the day ahead. A sanctuary of sorts – before the rush of algebra pop quizzes, social studies presentations, English literature essays and science lab experiments. 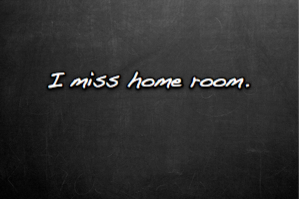 Yesterday I read an article by Fast Company suggesting we all bring the concept of home room back into our daily lives. Use it as a guiding principle for the first hour of each work day. Doing so would make us more productive. More focused and better able to handle work pressures and the unpredictability of the day ahead (last minute deadlines, project delays, unbearable coworkers, etc.). How you use that hour is up to you but the goal is to start your workday not diving into email or rushing off to meetings. Instead, it’s about focusing. On a task, a goal, meaningful connections. You decide. But whatever you do with that hour, it shouldn’t be spent mining your Inbox. Especially if my home room could again be a library. Row upon row of bookworm glory. How do you start your workday? While I do open my email program as soon as my computer boots up, I usually wait at least 10-15 minutes before I look at it. Instead, I check up on favourite websites and blogs, mine Twitter and Facebook and then review my to-do list. I don’t take a full hour but I do take some time to get my brain in gear. * Question: Do junior high schools even exist anymore? It seems they have been replaced by middle schools (grades 6-8). When I was in junior high, the grades were 8-10. Wait…have I just dated myself? Chalk board background image credit to karindalziel via Flickr. 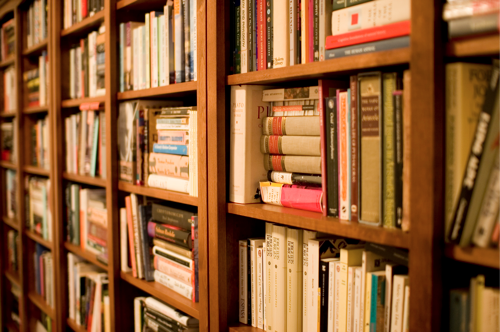 Library bookshelf image credit to Stewart Butterfield via Flickr.